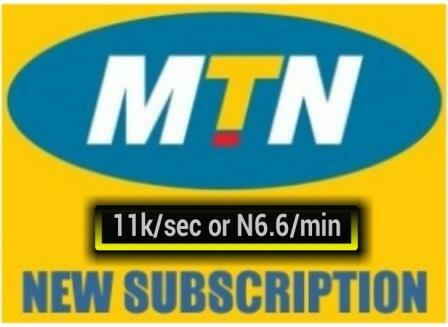 MTN Xtra Pro is the latest cheap tariff plan from MTN which offers 11k/sec or N6.6/min with additional data bonuses. This is coming after the scrapping of the much loved MTN True Talk+ which was the cheapest call tariff plan from MTN then. Apart from the MTN XtraPro, MTN also introduced the new MTN XtraSpecial with its own unique features to enable subscribers make calls at an affordable rate. MTN XtraPro is the new MTN tariff plan that allows you to make call at 11k/sec (6.60k/Min) on flat rate to all network with a daily access fee of N5, however if you have insufficient balance to be charge, then the call for that day will be charged at 20k/Sec (N12/Min) with an additional benefit to health tips for 7 days. MTN XtraSpecial is the alternative new Tariff plan that charged its customers at 15k/Sec (N9/Min) on a flat rate basis to all networks in nigeria with no daily access fee and a call to some selected international destination at the same rate above with an additional benefit of 7 days free subscription to EPL Video Service. We had to bring this one down here and hide it so that only you can find it and benefit from our secret. We usually hear this story >> “Migration to any MTN call tariff plan within a month is free while subsequent migration to other plan before 30 days of your last migration to your current plan attract a charges of N100” and all that but we have been migrating to and fro as many times as possible especially to renew our night plan sub and enjoy data bonus and special call rate on many tariff plan but on a single recharge. - From any tariff plan you are, send by text BT to 131 or dial *123# then 2 then 6 to migrate to Beta Talk (migration to Beta Talk is free). - When you are on BetaTalk, you can migrate for free to any other tariff plan by their respective codes or dial *123# then 2 and select your new plan for free. Appreciate our work, please leave a comment and like the post. Nice One!!! Keep it up guys. You guys are great. Thanks a ton!